Last October, Russia passed legislation which allowed rightsholders to have 'pirate' clone and mirror sites blocked by ISPs without the need for court intervention. According to Russia's Deputy Minister of Communications the months since have been extremely busy. A total of 500 sites have been blocked, which is more than the last two years of court-ordered blockades combined. 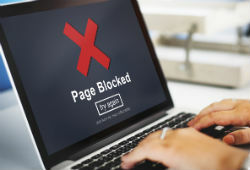 Once the legal process for blocking pirate sites has been accepted in a region, it usually follows that dozens if not hundreds of other sites are given the same treatment. Rightsholders simply point to earlier decisions and apply for new blockades under established law. Very quickly, however, it became clear that when a domain is blocked it’s relatively easy to produce a clone or ‘mirror’ of a site to achieve the same purpose, thus circumventing a court order. This mirror site whac-a-mole was addressed in Russia last year with new legislation. Starting October 1, 2017, Russian authorities allowed rightsholders to add mirror sites to the country’s national blocklist without having to return to court. Perhaps unsurprisingly, given the relative convenience and cost-efficiency, they have been doing that en masse. According to Alexei Volin, Russia’s Deputy Minister of Communications and Mass Media, hundreds of mirrors of pirate sites have been blocked since the introduction of the legislation in October, affecting an audience of millions of people. “For the past few months, we have been able to block mirrors of pirate sites. As of today, we can already note that about 500 sites are blocked as mirrors,” said Volin at the CSTB 2018 television and telecommunications expo in Moscow. While rightsholders were expected to quickly take advantage of the change in the law, the speed at which they have done so is unprecedented. According to Volin, more pirate platforms have been blocked in the four months since October 1, 2017, than in the previous two years’ worth of judicial decisions. The process is indeed quite straightforward. Following a request from a rightsholder, the Ministry of Communications decides whether the site being reported is actually a copy of a previously blocked pirate site. If it is, the owner of the site and telecoms regulator Rozcomnadzor are informed about the situation, while local ISPs are ordered to begin blocking the site.